Our caravan is available for hire and situated at Sunnyvale Caravan Park which is less than 1 mile to the beaches in Saundersfoot and 3.5 miles into Tenby. There is a bus stop right outside the park which takes you all over Pembrokeshire. 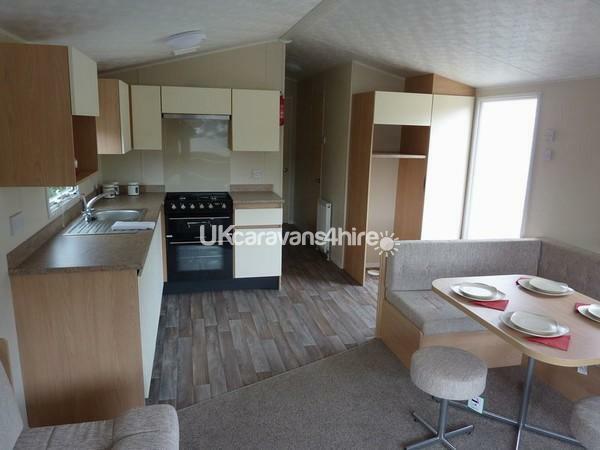 3 bedroom caravan. 1 x double and 2 x twin rooms. 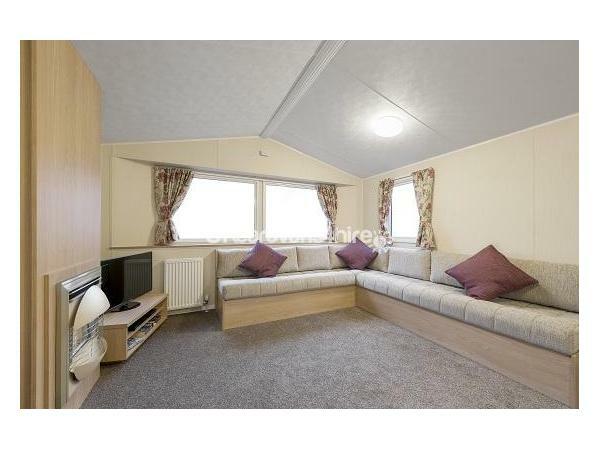 The Aurora has a modern and clean looking interior throughout. The lounge has a fixed sofa with pull out sofa bed. The separate dining area features fixed seating, pedestal dining table plus 2 stools. The kitchen cupboards are handle free in a soft cream finish with laminate style vinyl flooring. Linen, duvets and pillowsare not included in this unit but can be supplied at a cost of £10.00 per bed. Please advise when booking.